I meet up with Austin & Ben the evening before their wedding for their Bloomington Indiana Engagement Session. I have never been to Bloomington, so finding a location was going to be key. 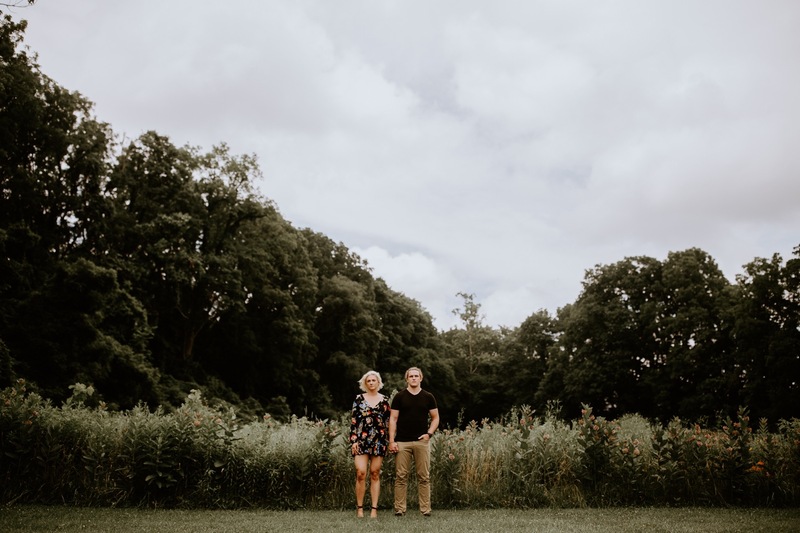 I spent the afternoon, after flying in, finding a location that would work for their engagement session. I was google mapping the area and found a park on the map. Not knowing what the park would look like, I took a drive down to explore the area. With tall grass, woods and a little cove of a stream, I knew this would be the place. As Austin & Ben arrived, we walked around the tall grass, finding nooks within the woods. The three of us then went into the cove where a stream flowed. After a little convincing, these two were in the water. As we started to photograph these two, a dark cloud rolled in and it began to pour. It wasn’t little rain, it was pouring. Instead of calling it and packing up, we embraced the weather and enjoyed every minute of it. Congratulations to these two and I know your wedding day will be just as perfect.